Wine has always been the classic go-to when it comes to beverage pairing with a meal. But with the cocktail renaissance and a reverence for small-batch distilled spirits happening in our dining scene, we&apos;re beginning to see more unique, out-of-the-box selections to match with food. There have been craft beer and cocktail pairings, and sake has even made a name for itself. So one can&apos;t help but wonder, "Why not scotch?" Turns out we aren&apos;t the only ones who thought that peat makes for a perfect pairing. We recently had a chance to sample a scotch-pairing dinner at BLVD 16 (inside Hotel Palomar in Westwood) created by chef Richard Hodge and BLVD 16’s general manager Josh Porter. The three-course meal matched single-malt scotches with each dish, starting off with grilled pears and pickled cranberry, crisp bacon, honey crème fraiche with a Highland Park 12 year; followed by a pappardelle pasta with spiced duck Bolognese, braised chard, grana padano, paired with Macallan Fine Oak 15 year. We finished the meal off with a Jivara chocolate bar with chocolate sorbet, caramel powder paired with Macallan 18 year. So what happens if you want to craft a Scotch-pairing dinner at home? We asked Hodge and Porter for a little advice. But first, a little scotch primer. Here are the basics: Scotch—a whisky produced in Scotland—must be made according to strict guidelines and aged at least three years in oak barrels to earn the designation. The age statement on the bottle (12 year, 18 year, etc.) refers to the youngest whisky in the batch. There are single-malts, which are malt whiskies made at a single distillery (and more expensive); and blended Scotches, which combine single-malts with other whiskies. Esquire explains the singles and blends more simply than we can. Wine pairings and beer pairings have been around forever. Is scotch pairing the next "big thing"? Josh: I feel that the brown spirits such as scotch, bourbon and whisky are becoming increasingly popular among multiple generations and demographics. I don’t know if I would say that it is the next big thing, but you definitely see an emphasis on these spirits in the market. Richard: I have always been intrigued by bourbons and scotches and over the last few years I have become more passionate about them. It is always fun to experiment with new things and cook outside of the comfort zone. How did you select the pairings for your meal? 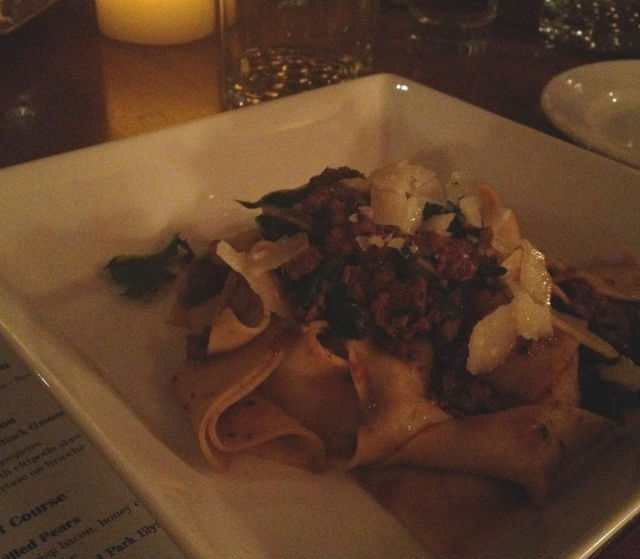 For example, how did you know to pair the duck Bolognese with the Macallan 15 and not the 12 or 18? And why duck and not veal or ground beef? Richard: It was through tasting and picking up highlights and lowlights of the scotches and using those elements to design the menu. As the scotch ages, it picks up different profiles of the barrel (it&apos;s aged in), whether it be cinnamon, citrus, vanilla or oak. I had made the duck Bolognese in the past, and being familiar with the flavor profile of the dish it worked best with the Macallan Fine Oak 15 year. Speaking about veal, I do not feel it is rich enough and is too lean of a meat to pair with elements of the scotches. Same reason for the beef. 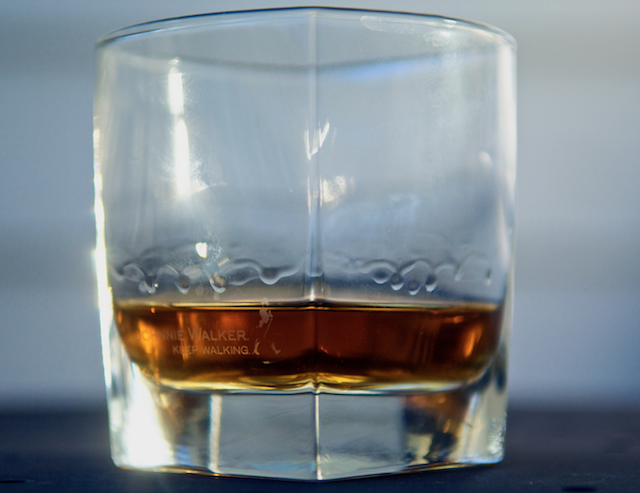 If we were to design a Scotch-pairing dinner at home, how many courses should we plan? Richard: At least three courses, it is nice to pick a variety of ages, barrel types, level of peat or non-peat (aka smoky flavor intensity). How much should you pour in a "tasting" dinner? If budget doesn&apos;t allow for a top-shelf scotch (the Macallan 18 we tasted costs about $180 a bottle), can you use a blended scotch to go with a dish? Should the blended be pour neat? Over ice? With a mixer? Richard: Of course, it’s like picking a $50 bottle of wine or a $15 bottle of wine. You can do an all cabernet dinner or an all-blended wine dinner. I recommend you do the scotches neat so they get the full flavor profile, you can offer ice to show your guests how the flavor transforms. Large crystal clear cubes are best! Richard: I really don’t have a recipe! The duck was tailored to match the flavor profile of the scotch, starting with the basics of ground duck, celery, carrots and onions and then building from there. I wanted more of the spice elements to come out with clove, cinnamon and nutmeg. It complimented both the duck and the scotch. * Caveat: If you’re not used to drinking scotch, go easy. Even a little can pack a wallop. Trust us on this one.